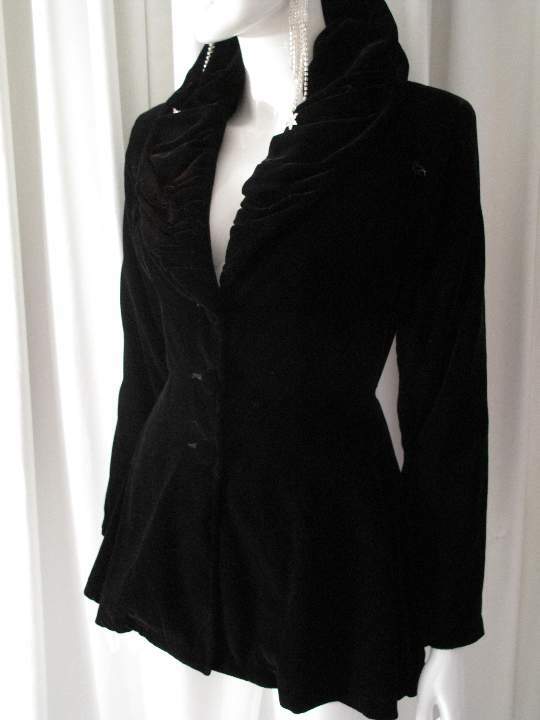 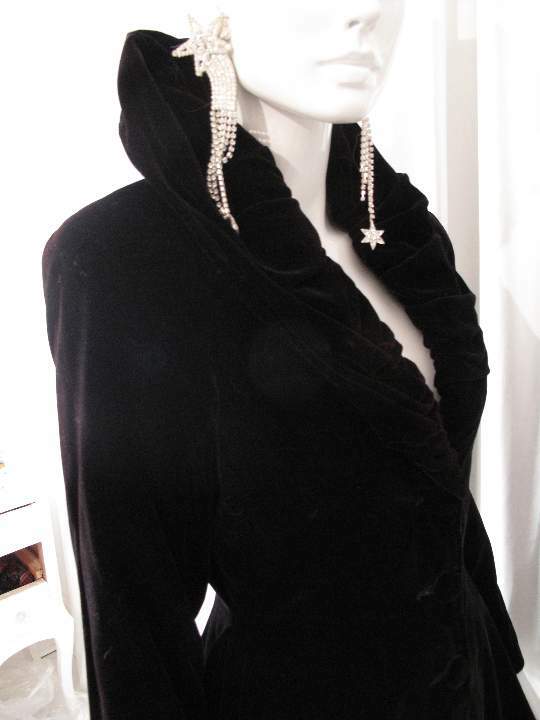 1980's Jet black silk velvet vintage riding jacket. Beautifully cut, silk velvet jacket with long fitted sleeves, padded shoulders and deep extravagantly ruched shawl collar. 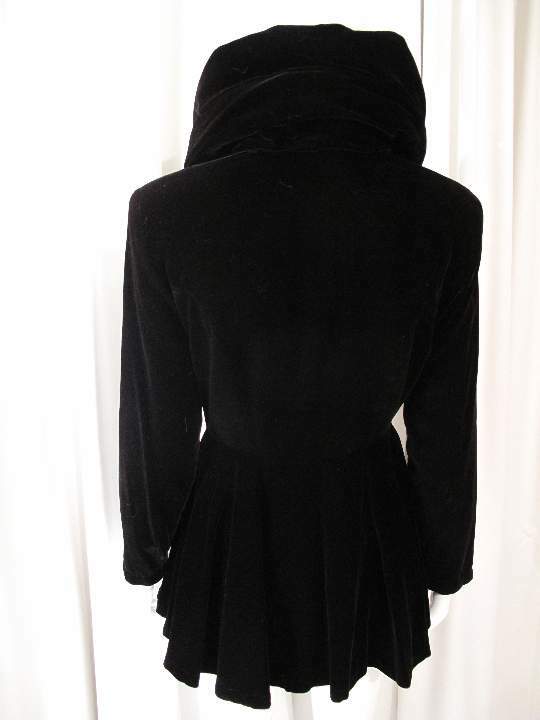 The jacket is tightly fitted at the waist with a dramatic circular cut peplum, which flatteringly accentuates the tiny waist. 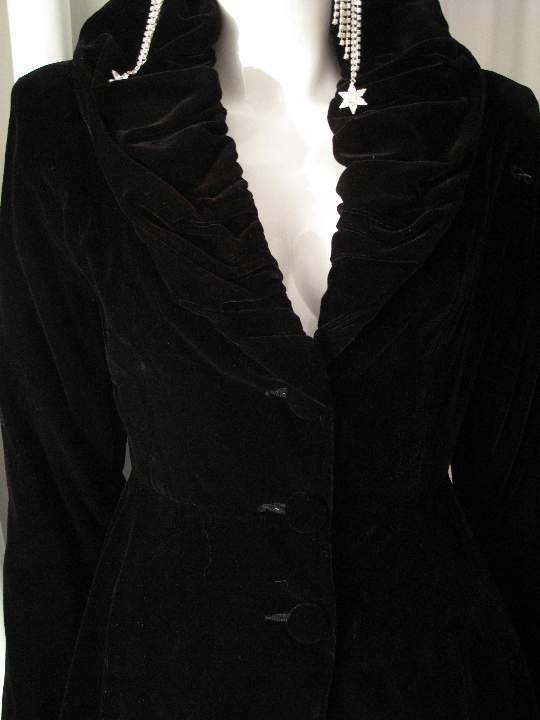 The jacket is fully lined and has silk velvet covered buttons. 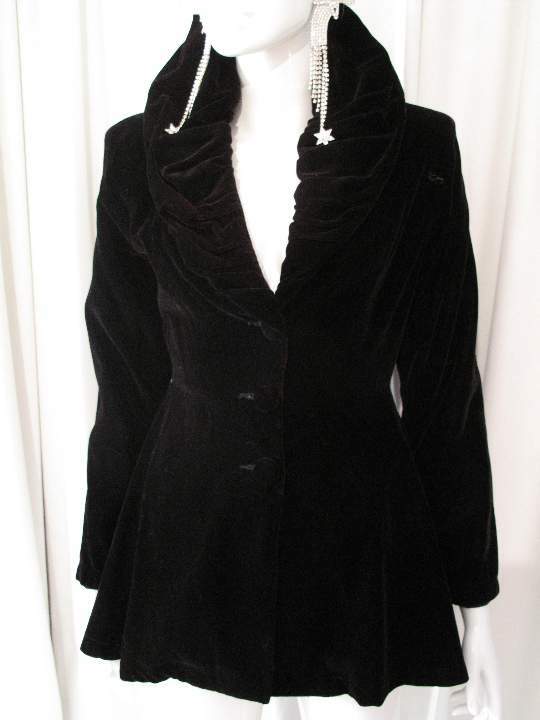 This piece is a mixture of almost Victorian silhouette, with modern touches.